Description: 4x5 Autograph Paper signed by Pam Tillis in black sharpie pen. Note: Item signed by Pam Tillis while on her 1993 US tour. Signed at Six Flags Amphitheater in Arlington Texas. 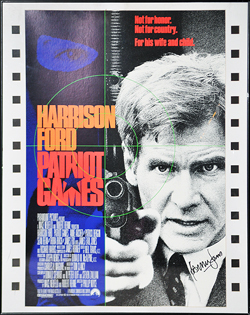 Description: 28x40 Promotional Movie Poster. Signed by Harrison Ford in black sharpie pen. Note: Item was signed at the KTXQ radio station office in July 1992 in Dallas Texas. Description: 4x6 Autograph Paper signed by Pat Thrall. Note: Item signed by Pat Thrall while on tour with Meatloaf. Signed on his 1995 US tour at the Starplex Amphitheater in Dallas Texas. 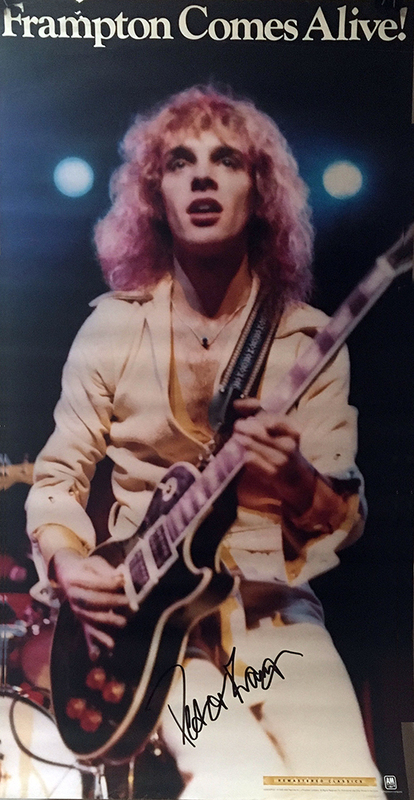 Description: Peter Frampton Comes Alive Re-issue Promo Poster Signed in black sharpie pen. 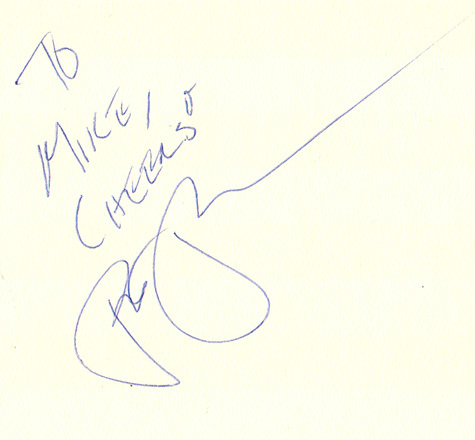 Note: Item signed by Peter Frampton in 2001 at the Sony office in Dallas Texas.